Salina: How did you come to play the saxophone? 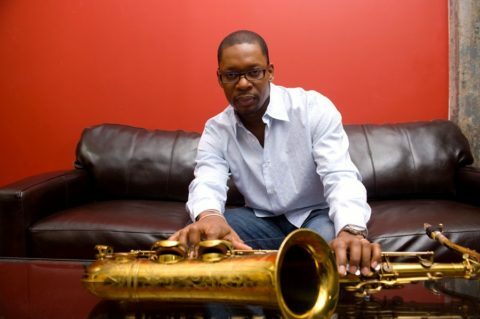 Ravi Coltrane: My parents were musicians. Music was all around my house growing up and I always loved art and always loved creative pursuits. I was a big fan of photography when I was very, very young. Also a big fan of classical music. I started playing the clarinet in junior high school and never assumed that I would do this professionally. I just knew that I had a great love and admiration for music. I went to school to learn more about music, not with the idea of coming out as a professional musician. But I got the bug. I got a call from Elvin Jones and that began my musical career in 1991. Ravi Coltrane: Well, if I have any fans out there, keep listening and supporting the music. There’s so much going on out here in our beautiful state of New York and all throughout this country, so just keep listening. Ravi Coltrane: The club is beautiful. It’s fantastic. I hope we get invited another time to come back.